What Are the Off-Roading Features of Jeep? Hit the trails near Lamesa with a Jeep and their legendary Trail Rated® features. Explore what makes Jeeps models like the Renegade off-road legends, and how capable they are of mastering any terrain. Contact our performance-loving team to help match you with your new Jeep model with all the off-road features you are looking for! 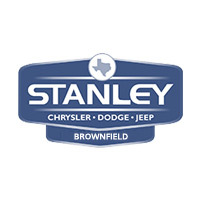 You can also get pre-approved for financing online at Stanley Chrysler Dodge Jeep Ram Brownfield. 0 comment(s) so far on What Are the Off-Roading Features of Jeep?